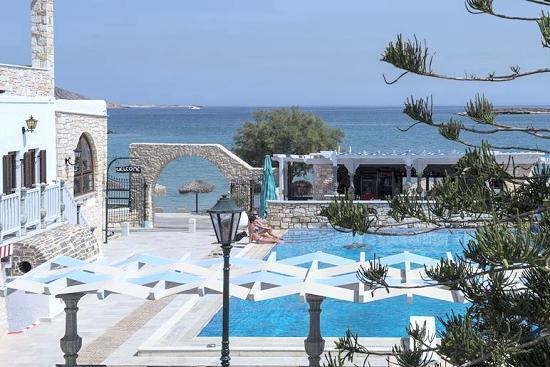 The Contaratos Beach is a beautiful and well-established hotel complex consisting of four buildings that affords an excellent position on the beach of Agioi Anargyroi on Paros island. 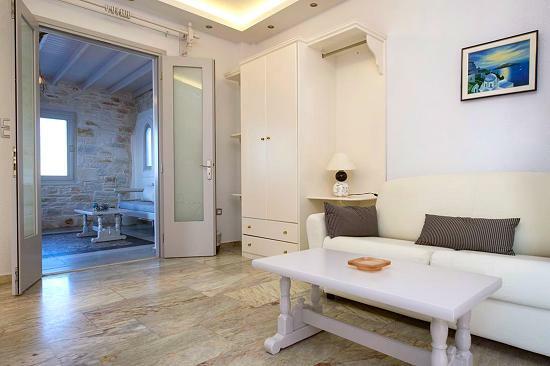 It is situated just 500m from the centre of the picturesque village of Naoussa and 12kms from Paroikia town. 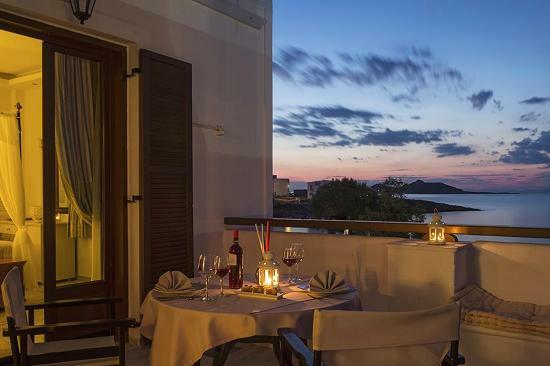 The hotel has 32 rooms and suites that combine modern luxury and traditional Cycladic style. 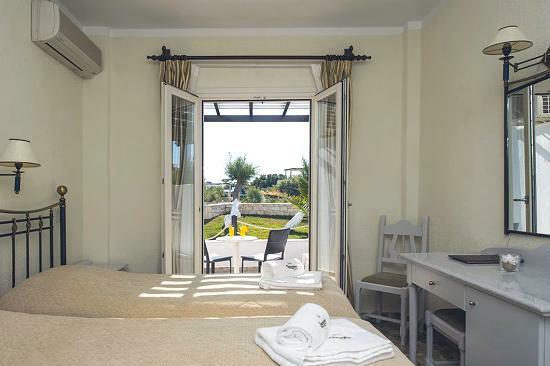 All units have a balcony or terrace with sea or garden view, air-conditioning, mini bar, safe, phone, satellite TV, Wi-Fi, SH/WC or full bathroom, hairdryer. 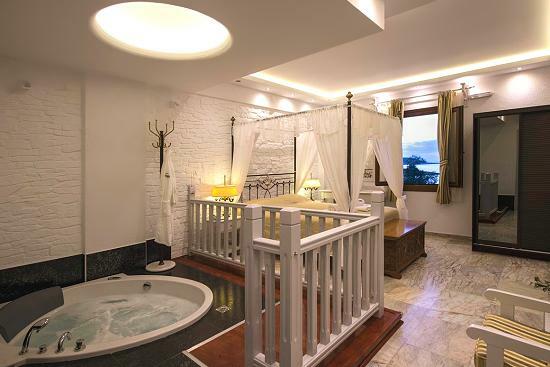 The Superior rooms and the suites feature a terrace or balcony overlooking the sea and are equipped with Jacuzzi. 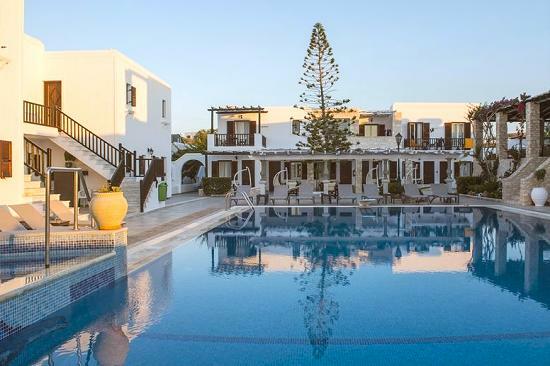 The Contaratos Beach hotel’s facilities include a reception area, lounge, breakfast area, the “Kyranna” restaurant, swimming pool & pool bar, Jacuzzi, tennis court and parking. Amazing. 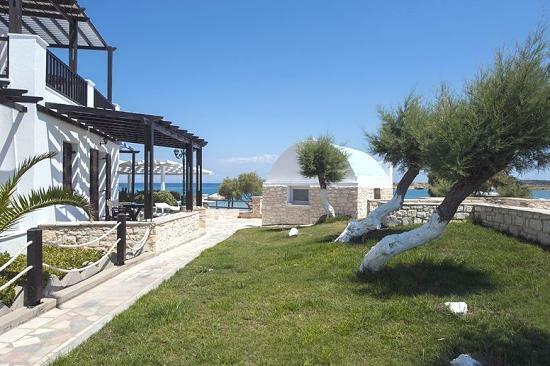 Pretty hotel, just steps from the beach and a short walk from downtown Paros. 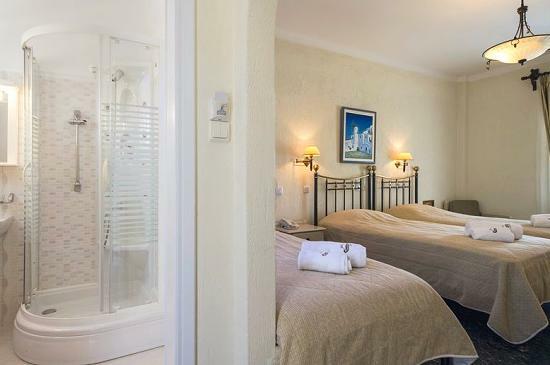 This was a magical stay. 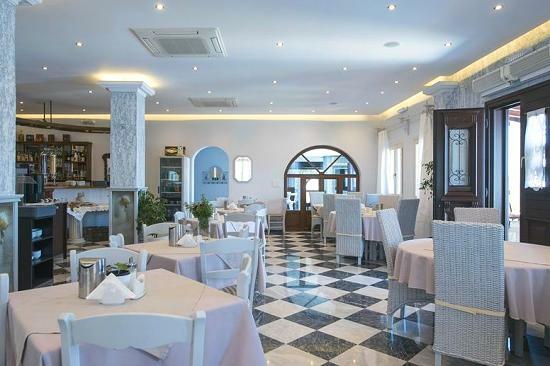 Nice hotel close to Naoussa's downtown. 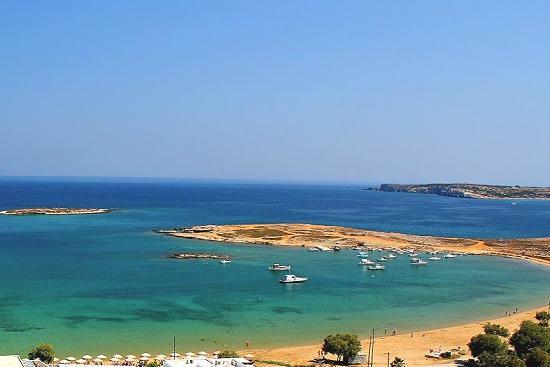 Staff was helpful and offered good tips for our stay in Paros.